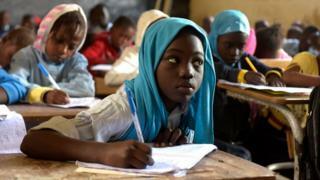 Image caption A Senegalese girl pays attention at a primary school just outside the capital, Dakar. The country is hosting an international donors conference as part of a multi-billion dollar plan to get more children into school in developing countries. 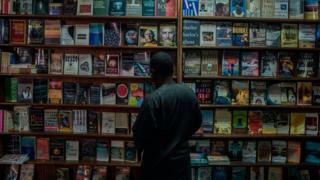 Image caption Meanwhile, Nigerians were left seething after a French journalist asked if they had bookshops at the start of the week. As this picture of The Jazz Hole in Lagos proves, they most certainly do. 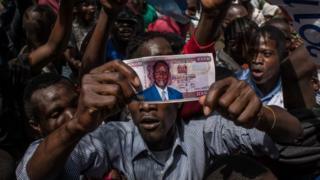 Image caption In Kenya on Tuesday ,thousands gathered to watch opposition leader Raila Odinga conduct his own unofficial inauguration. One of his supporters envisages what the currency might look like had he won the presidency last year. 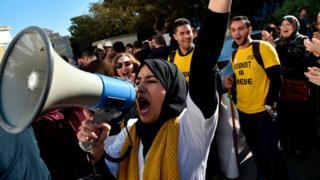 Image caption The same day, doctors in Algeria's capital Algiers took to the streets as part of a two-month protest against compulsory civil service. Image caption A few days earlier, the world's shortest woman, Jyoti Amge from India, and the world's tallest man, Sultan Kosen of Turkey, met in Egypt for a very unusual photo opportunity. Image caption In Tunisia, people were also desperate to get a photo - this time, a selfie with Emmanuel Macron, the French president who was visiting to the North African country. 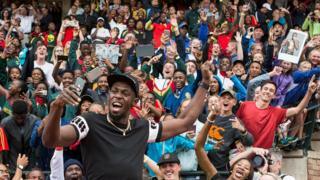 Image caption Selfies were also in demand thousands of miles away in Johannesburg, South Africa, where former Jamaican sprinter Usain Bolt appeared on Monday. Image caption Bolt, a keen football fan, was no doubt gutted to be missing the African Nations Championship in Morocco this week. Here, Zakaria Hadraf of Morocco is tackled by his Libyan opponents. 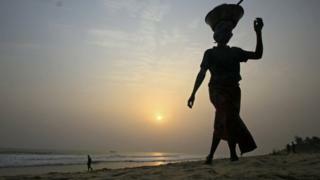 Image caption It appears to have been altogether calmer in Grand Bassam, Ivory Coast, on Sunday, when this woman made her way along the beach. 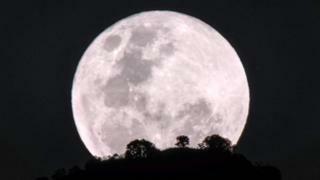 Image caption And who could have missed the moon on Wednesday night? Here is the "super blue blood moon" rising over Kadam mountain in Nakapiripirit town, north-eastern Uganda.